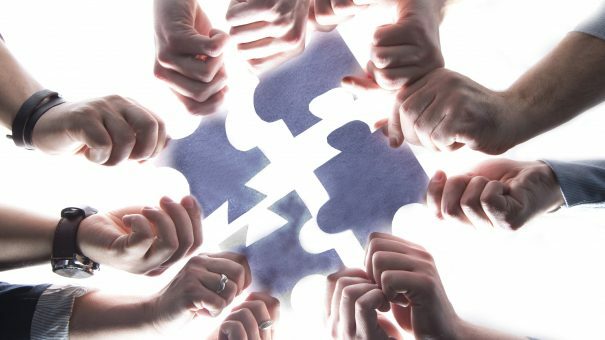 Kay Parkinson, CEO of Cambridge Rare Disease Network (CRDN), believes experts need to work together to address the unmet needs in rare disease research and treatment, and abandon the siloed approach that fails patients and their families. The CRDN’s definition of a ‘rare disease expert’ is not confined to the men and women in white coats who make the medicine, but also rightly encompasses rare disease patients and their family members, particularly the parents of children with rare diseases, such as Kay herself, whose two children had Alström Syndrome. “Parents live with the child day in, day out. They watch the development of a disease first hand, while at the same time personally administering very many powerful drugs,” Kay explains. “How can they not form an intrinsic part of care plans, drug development and treatments? Sadly, both Kay’s children passed away in their 20s, following heart transplants – the first Alström Syndrome patients to undergo this procedure in the UK. Newly-qualified as a lawyer at the time of the diagnoses, Kay applied her legal skills to founding Alström Syndrome UK and Alström Europe – the first UK and European charities for the disease – and successfully petitioned the Department of Health to establish the first multidisciplinary clinic for Alström patients. Kay spent 15 years as CEO of Alström UK, so when then-University of Cambridge PhD students Dr Jelena Aleksic and Dr Tim Guilliams (now CEOs of GeneAdviser and Healx, respectively) founded the CRDN in 2015, it was natural that they would turn to Kay for help. She gave a talk at one of the Network’s foundation meetings and subsequently set CRDN up as a registered charity and limited company with sponsorship. Now that the Network is up and running, Kay is “moving on to what I believe is the more important work!” This includes close collaboration with the Cambridge Consultancy Network to develop a rare disease home nurse service, which, she explains, is “much like Macmillan does for cancer patients as, unfortunately, rare disease patients usually face their diseases alone.” As part of this service, rare disease nurses would take a key role in coordinating care and supporting the administration of drug therapies. In the long term, the group is dedicated to establishing a regional network for rare disease patients that provides them with a unified voice. Another ongoing project is to facilitate a roundtable meeting of pharma companies working in rare diseases. “With Brexit it’s even more important that we get a strong voice from companies in the UK working together for rare diseases,” Kay asserts. “Cambridge has got the largest biotechs in Europe so, if we can show we’re coordinated and organised, we can try to pull in the contracts and rare disease funding that we stand to lose by coming out of Europe. Again, Kay’s personal history with Alström Syndrome provides evidence of the benefits this approach can bring. When Kay and her husband presented an Alström-related poster at the World Orphan Drug Conference in 2013, a chance meeting with the CEO of Prometic Life Sciences led the three to debate whether Prometic’s investigational anti-fibrotic compound could form the basis of an effective Alström treatment. This encounter led to the first clinical trial for an Alström treatment in the UK, with the drug set to trial in Italy soon, too. One conduit for this kind of collaboration between patients and industry is the Cambridge International Rare Disease Summit. This annual event attempts to break down barriers in communication between rare disease patients, healthcare professionals and industry across a series of holistic-minded sessions. She highlights the work of the Frambu Rare Disease Centre in Norway as a successful, practical new approach where the diagnosing of rare diseases goes hand-in-hand with assessing patients’ treatment needs, equipment needs, and social and educational requirements. “Frambu doesn’t divide patients up between various departments, as happens in the UK,” Kay explains. “You get pinged around from pillar to post – various medical departments, social services, education – because everybody’s got their own little budget pot and if they can pass you on to somebody else then they will. Interview conducted by David McNamee. 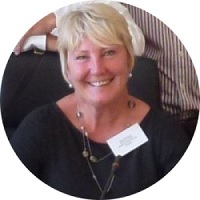 Kay Parkinson LLB (Hons) is the CEO of Cambridge Rare Disease Network (CRDN). She qualified as a lawyer in 1996 as a mature student, specialising in charity law. Her two children were diagnosed with the ultra-rare disease Alström Syndrome when they were aged 18 and 15, having had four previous misdiagnoses. Both children died following heart and heart/kidney transplants at the ages of 25 and 29, respectively. In 1998 she founded the charity Alström Syndrome UK (ASUK), serving as CEO for 15 years before stepping down in 2013 to start up the Alström Europe (AS EU) charity. In 2015 Kay became the Chief Executive of CRDN. The Cambridge International Rare Disease Summit takes place on Tuesday 25 October at Robinson College, University of Cambridge, UK. Book tickets online here http://camraredisease.org/index.php/conference.